The Deputy Inspector General of Police, Operations, Mr. Habilal Joshak, has said the security details of important personalities in Ekiti will be withdrawn on Saturday — the day of governorship election. The Police boss added that no party will be allowed to hold any political rally that is not approved by the Police until the election is held. Addressing journalists in Ado-Ekiti on Wednesday, Joshak said he will work with one Assistant Inspector General of Police, Mr. H.H. 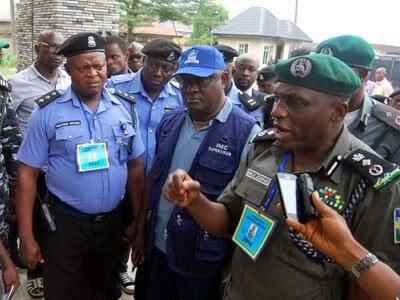 Karma; and three other Commissioners of Police — Ali Janga, J.B. Kokumo and G.B. Umar — who would man each of the senatorial districts in the state. Joshak said they have contacted security details of Governor Fayose and the candidate of the All Progressives Congress, Dr. Kayode Fayemi, and other top government officials to report at 6am at the Police headquarters in Ado-Ekiti on Saturday. “We won’t allow anybody to go to the polling booth with armed men, because it will be a breach of the Electoral Act. “We have contacted them and they have to be here before election commences. This election must not be compromised. “They will be documented and whoever defies this will be sanctioned, because they have been contacted."